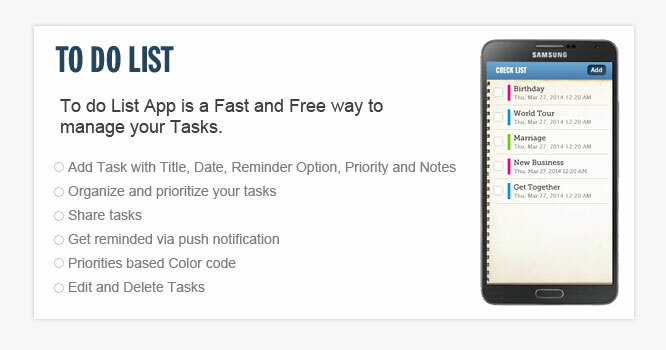 To do List App is a Fast and Free way to manage your Tasks. To-Do Lists are prioritized lists of all the tasks that you need to carry out. take notes, set reminders etc. 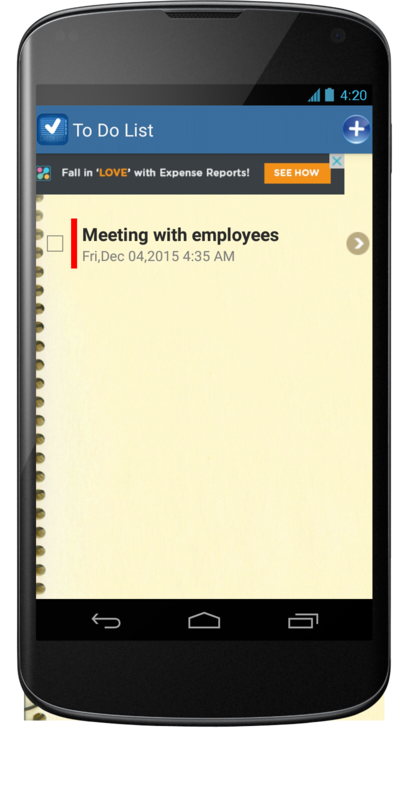 It lets you manage your tasks anywhere from Mobile. you don’t forget anything important. And by prioritizing tasks, you plan the order in tasks are implemented. 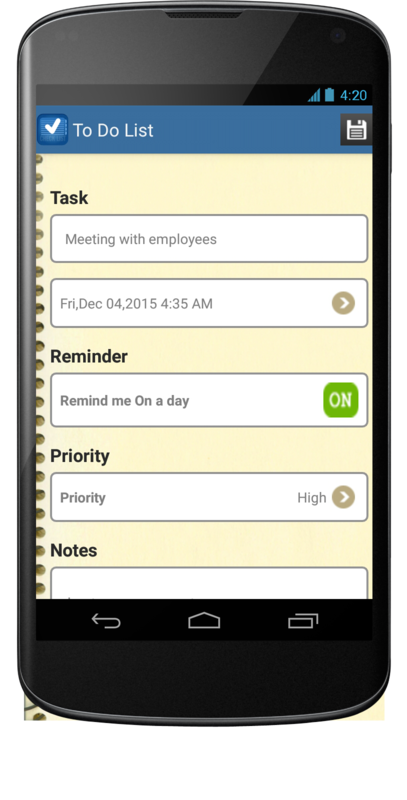 It is a great productivity improvement App.